Produced by International Sanicole Airshow, Availble from International Sanicole Airshow priced €20 (inc international postage) NB. email info@sanicole.com to order DVD. 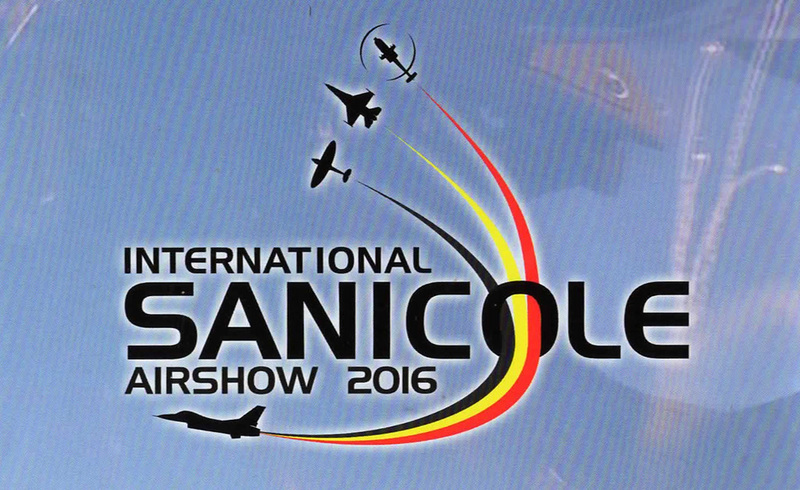 2016 was a great year for the International Sanicole Airshow. Not only did the show have a superb line-up of military and civilian performers from across Europe and beyond, it enjoyed fair weather throughout the weekend with the Friday sunset show conducted in perfect clear skies. The show celebrated the 70th Anniversary of the Belgian Air Force and also the NATO Tiger Association and both themes were marked in the flying displays on Friday and Sunday. Highlights included a rare flypast from a USAF B-1B Lancer. a fourship of classic jets from the Swedish Air Force Historic Flight, the Flying Bulls P-38 Lightning and Corsair plus dramatic solo fast jet displays from the Czech JAS-39C Gripen and Spanish EF-18M Hornet. 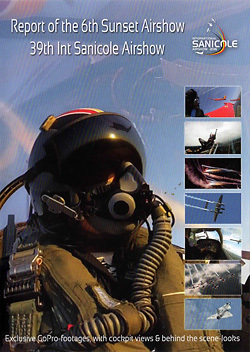 Unlike other airshows, the Sanicole organisers produce their souvenir DVD in-house with their own team of camera operators, editor and producer. This means that the production crew have unrivalled access to the show and are able to cover many different aspects of the show. The entire production is to professional broadcast standards with great image quality throughout. An unique aspect of Sanicole is that the show features commentary in both Dutch and English. This is reflected on the DVD as the viewer can choose narration in either language. The Dutch commentary is provided by Belgian actor Raf Van Brussel while the english language narration comes from Sanicole commentator and legendary US ‘airshow announcer’ Ric Peterson. The filming is very comprehensive. Though the flying dominates the production, there are several small featurettes intertwined into the flying display coverage including coverage of the Belgian Air Force 70th Anniversary Expo, the families days held at Kleine Brogel Air Base plus interviews with display crews and representatives of of the Belgian Air Force and NATO Tiger Association. There is certainly a promotional film feel to some of these segments much like productions for other large events such as the Royal International Air Tattoo. There are no shortage of different angles covering the flying display. As well as normal camera positions there are some very unique shots captured by mini-cam placed at the end of Sanicole’s short hard runway. There is also extensive use of onboard mini-cams on the aircraft, though it is always nicely balanced with the ground to air shots throughout. The running order roughly follows the chronology of the Friday and Sunday displays, though some of the repeat displays only appear once. The Friday sunset show really did yield some stunning filming conditions. There are some particularly pleasing sequences from the Skydance Display Team’s Swift S-1, OTTO the Helicopter, Belgian F-16, Aerosparx and the Swiss Air Force PC-7 Team and Super Puma combination. For those that attend Sanicole, this is a superb momento of the weekend and come highly recommended. For other, this DVD gives a very good taste of one of the the best weekends on the European airshow calendar.